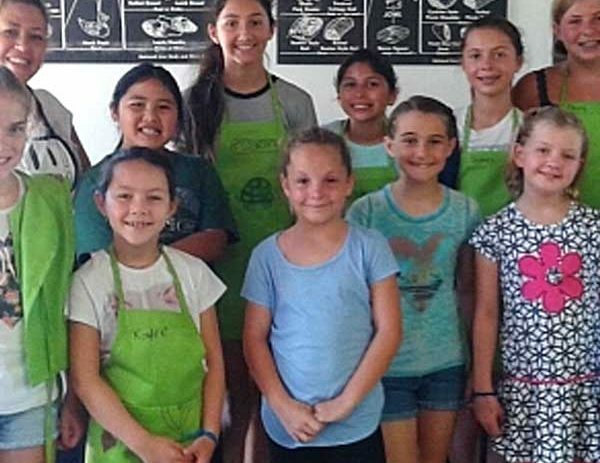 South Bay School of Cooking offers a wonderful alternative for summer camp. 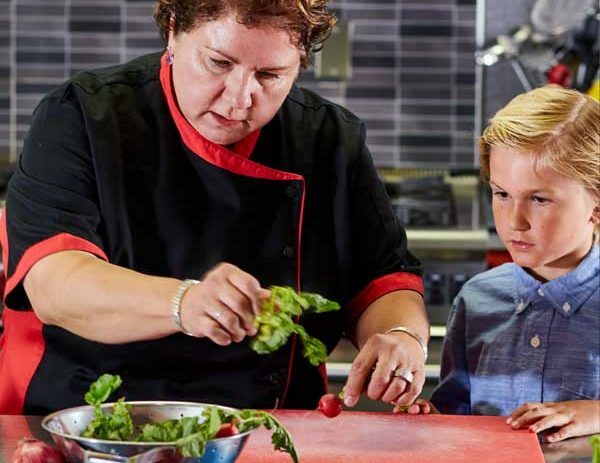 Kids will have fun learning new skills, trying new foods, team building, and sharing mealtimes with others. 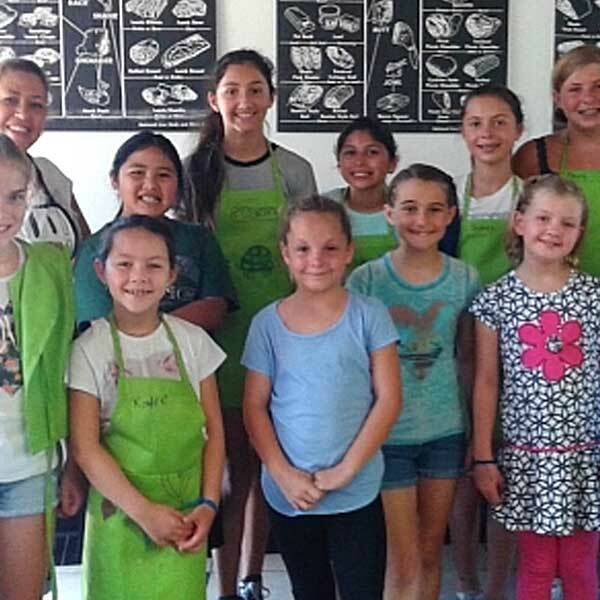 If your kids like watching the Food Network, have an interest in food preparation, or occasionally utter, “Mom, I want to be a chef!”, this hands-on kids cooking camp is an inspiring option. 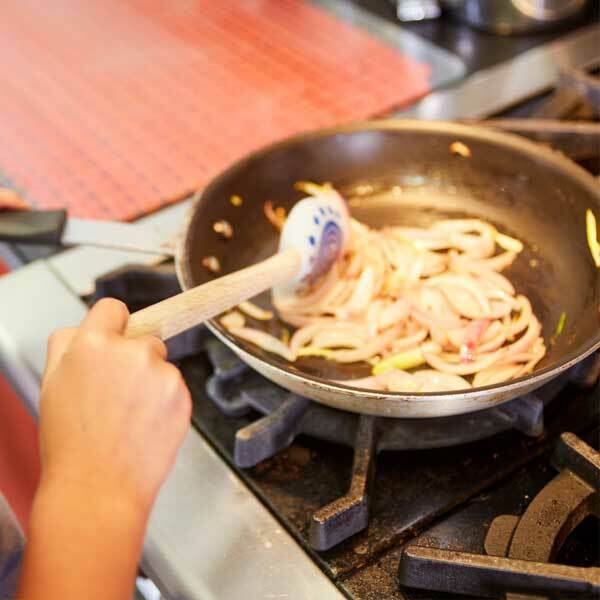 Our communal cooking style promotes complete interaction with the instructor and other campers. 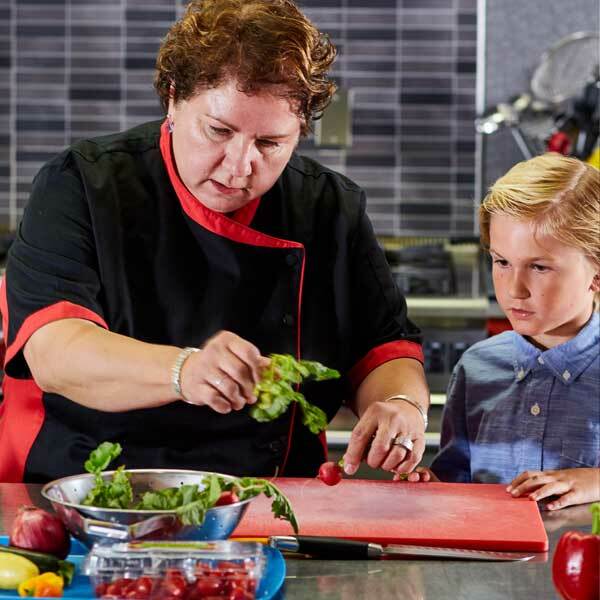 Each day of camp focuses on a theme using a variety of fresh ingredients without compromising what kids like to eat. 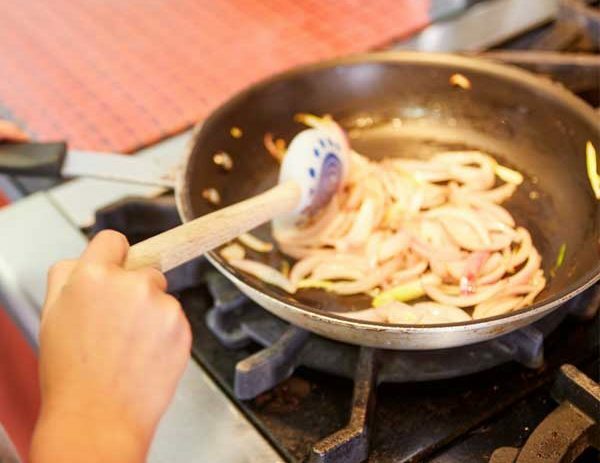 We also make the cooking lessons fun. 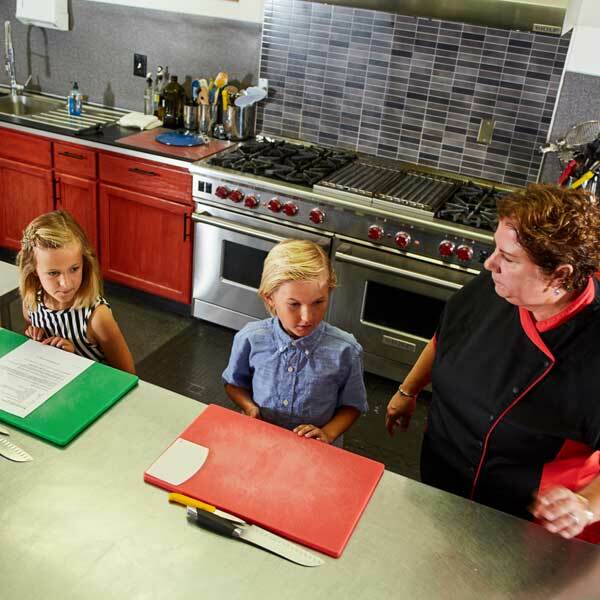 Our instructors are part chef, part entertainer. 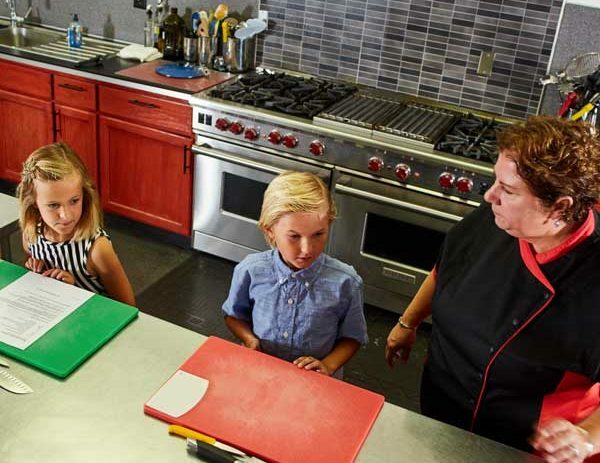 We create a fun, collaborative environment that engages your child and shares the joy of cooking. 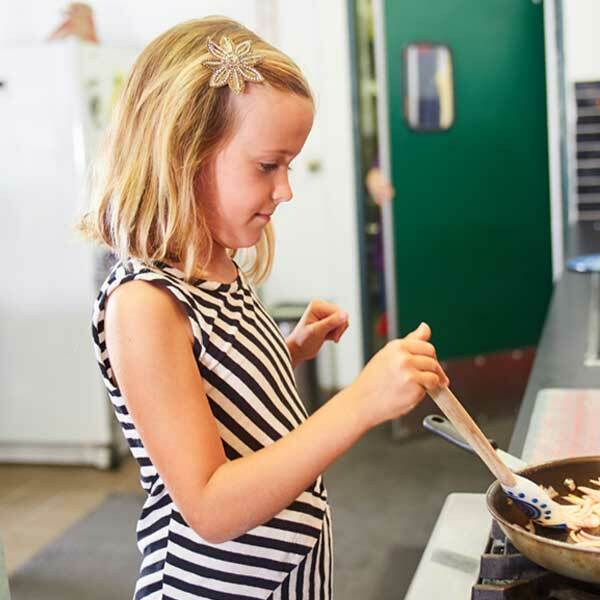 Imagine how much your child will benefit from being able to prepare meals – for the rest of his or her life. Knife skills are valuable life skills! Put the peanut butter and jelly away! 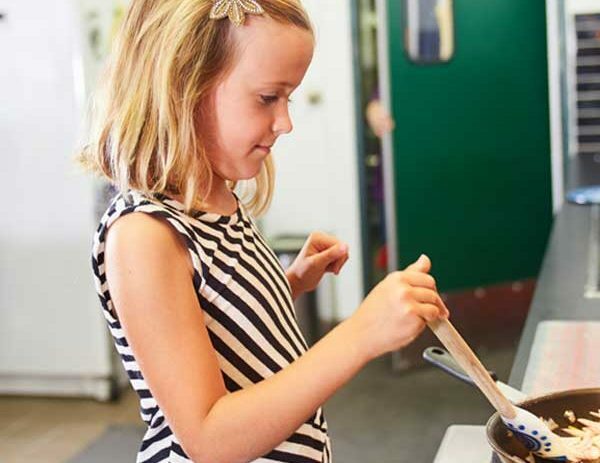 Your child can try new delicious, healthy foods – it’s exciting to taste food you just helped create. Tuition includes instruction, ingredients, utensils, lunch and recipe /handout booklets, food inspired puzzles and an apron. Your budding chef walks away with all the recipes and can devour the delicious rewards of his/her labors. They just might cook you a meal! Planned class hours are 9:30am-12:00pm, Monday through Thursday. There are no make-ups in other camp weeks. We urge you to drop off your child no earlier than 5 minutes before class and pick up your child when class ends. Our staff is busy with clean up and cannot be responsible for your child once class has ended. In the case this happens, we will charge $15 on the credit card on file for each 15 minute increment after class ends.